From Flanders Today: You might associate the name Westmalle much more with beer than you do with a monastery, and that’s the problem the Trappist monks were trying to address when they welcomed visitors into their abbey home at the weekend. 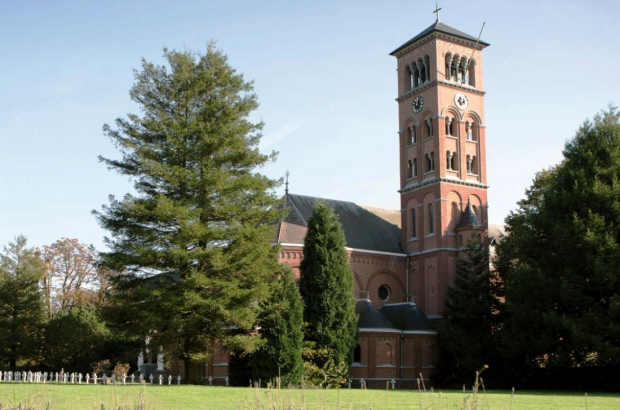 According to Flanders News, the order of monks in Westmalle, Antwerp province, placed an ad in the Gazet van Antwerpen in February inviting “men who long for life and want to see good days” to spend a weekend “getting to know monastic life from the inside”. The response was overwhelming, according to the abbey, but they limited the visits to 20 last weekend and 20 this coming weekend. The open weekend appears to have paid off: One visitor has already made arrangements to spend a trial month in the abbey to see if the monastic life is for him. The Westmalle abbey was founded in 1794 by a group of Cistercian monks fleeing the French revolution. Having arrived in Antwerp, they planned to move on to North America, but the local bishop convinced them to settle at an abandoned farm in Westmalle. Ten monks eventually established themselves at the farm, though it would be more than 40 years before their order was recognised as an abbey. The farm buildings were renovated and extended throughout the 19th century, more or less completed in 1900. In the 1930s, the order began producing its now famous tripel and dubbel brews. It is currently one of only 11 official Trappist breweries in the world. (Six are in Belgium.) As the Trappists are not allowed to turn a profit, all of the proceeds go into the running of the abbey. Westmalle is currently home to 32 monks. It is not open to the public, but a signposted walk leads visitors around the abbey. Across the street is a restaurant that sells the beer, as well as cheese produced by the abbey. The beer is widely available in supermarkets and bars, and the cheese can also be found in 18 cheese shops and vendor stalls across Flanders.